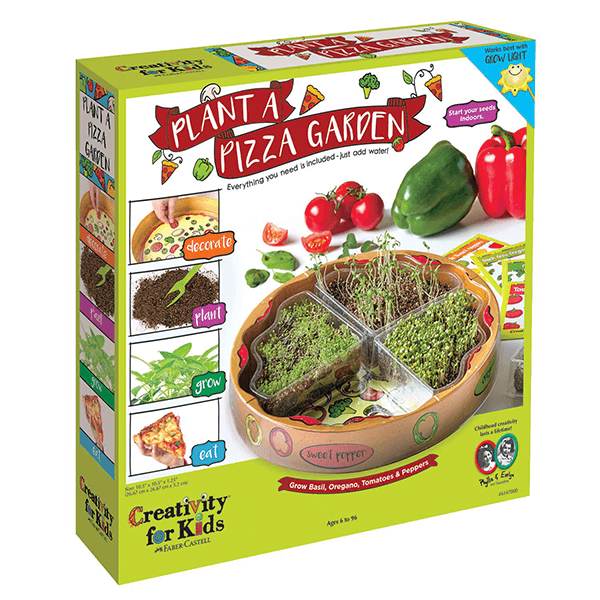 Shipping Dimensions: 12.5" x 12.5" x 3"
Kit includes 4 seed packs, planting trays, potting mix, stickers plus 4 seed packs! Very Unique start to gardening! 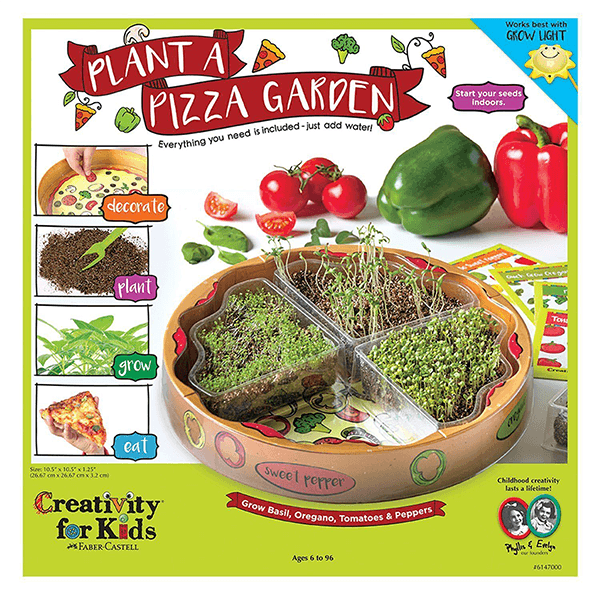 If You Liked Creativity for Kids Plant Pizza Garden Kit, See More Related Products Below!